Carmela L. Novi, an attorney with Weinberger Divorce & Family Law Group, has been designated by the New Jersey Supreme Court as a Certified Matrimonial Attorney, a certification achieved by only 2% of attorneys in New Jersey. During college, Ms. Novi served as a Judicial Intern for Hon. Walter M. Schackman, J.S.C., Supreme Court of New York, and Commercial Division. She began practicing family law immediately upon her graduation from New York Law School. 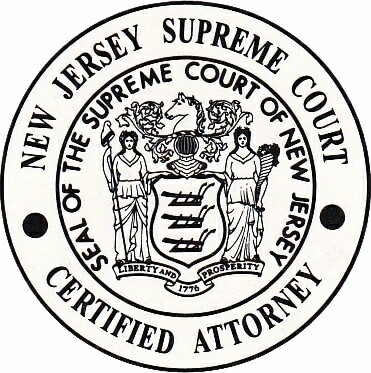 Since then, Ms. Novi has litigated and settled cases throughout the state of New Jersey involving every aspect of divorce and family law, including but not limited to: divorce; annulments; child custody and parenting time; child support; alimony; college contribution; equitable distribution of assets; and prenuptial agreements. She also has extensive experience in domestic violence matters, both in helping victims obtain needed restraining orders and in defending those wrongly accused of domestic violence. Ms. Novi also serves on the Early Settlement Panel for the family court in Morris County, where she volunteers her time to assist couples in settling the economic aspects of their divorce disputes. Ms. Novi is licensed in New Jersey and New York and is also a qualified and court approved Family Law Mediator for parties who may choose to resolve their family and matrimonial issues without the need for costly and protracted litigation. She is also presently a member of the New Jersey State Bar Association, the Bergen County Bar Association, and the New Jersey Woman Lawyers Association. Ms. Novi is also currently serving her third term on the Montville Township Board of Education as Board Vice President; and has co-founded two non-profit organizations over the years, Mid-Town Children’s Fund, Inc., and the Towaco Civic Association in Montville Township, New Jersey. Ms. Novi has been recognized for her pro bono work by Alternatives to Domestic Violence of Bergen County; the Bergen County Executive; Partners for Women & Justice (Montclair, NJ); and Volunteer Lawyers for Justice (Newark, NJ). She is a current member of the Strategic Connections Chapter of Business Networking International (“BNI”) and is a former Board member of the Montville Township Kiwanis Club and a former Chairperson of the Montville Township Residents with Disabilities Advisory Committee. Ms. Novi has been recognized as a New Jersey Super Lawyers – Rising Star. She has also been named by the American Institute of Legal Counsel as one of the 10 Best Client Satisfaction for Family Law in New Jersey. Towaco Civic Association, Montville Township, New Jersey. Volunteer Lawyers for Justice (Newark, NJ). Carmela Novi is located in our Freehold, Monmouth County office. To schedule a free initial consultation with Carmela, please call (888) 888-0919 or click to schedule online.